Last Fall my daughter went for her first sail in UNA. 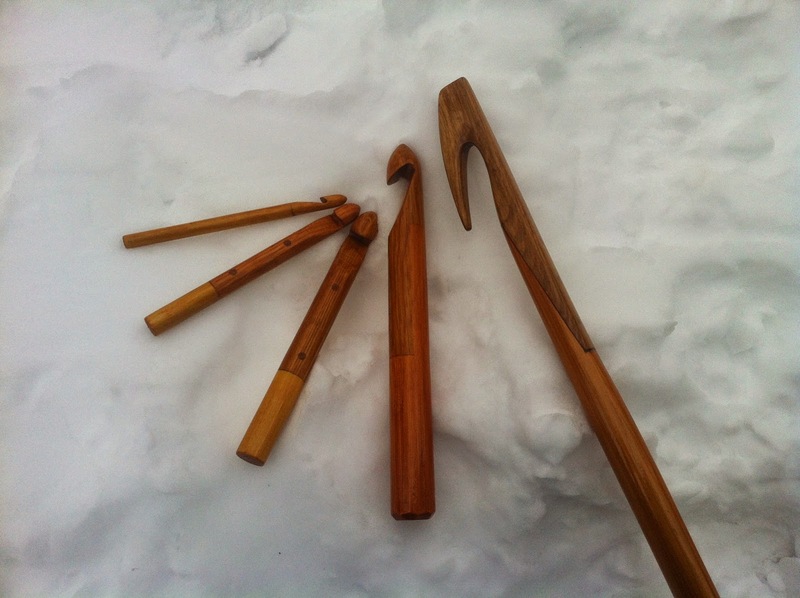 She was quick to take note of the 8′ long boat hook I made from oak and red cedar. She suggested that I could cut the hooked end of the pole off for her crocheting use! Alarmed at the idea, I defensively I manufactured for her 3 hooks of various sizes mimicking UNA’s. I had trouble tossing the hardwood scraps from the build and here they got some use. However, apparently the largest hook wasn’t large enough, so a fourth hook made use of what was the bumkin cut off and some oak scraps. I’m now officially out of that business.